"When it comes to getting elected, there's no such thing as going too far." 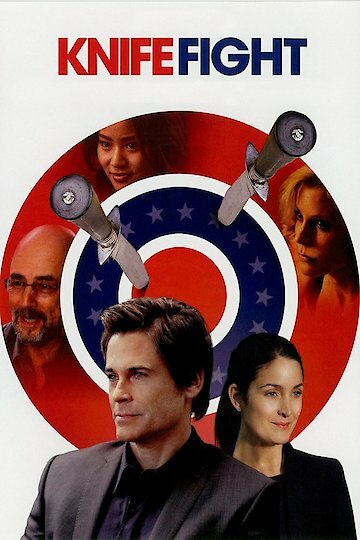 This political thriller stars Rob Lowe as Paul Turner, who is trying to keep up with his current clients. One of whom he fixes political issues for and is a campaign advisor to the other. Paul while trying to put out fires that were started by politicians, he comes across a doctor running a free health clinic. When accosted by a homeless man armed with a knife she out smarts him, capturing the weapon. Paul's assistant, played by Jamie Chung wants to leave her old way of live for medical school. There is a shady operative who handles dirty deals. Knife Fight is currently available to watch and stream, download, buy on demand at IFC, Amazon, Google Play, iTunes, YouTube VOD online.